LES ULIS, France--(BUSINESS WIRE)--On December 20th, a decree from the President of France was published in Le Journal Officiel* appointing Denis DELVAL CEO of LFB S.A. This decree follows the General Meeting of LFB SA and the meeting of its Board of Directors, which both took place on December 4th, 2017. 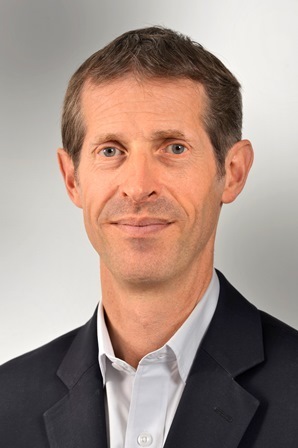 Denis DELVAL is also appointed, CEO of LFB BIOMEDICAMENTS and President of LFB BIOTECHNOLOGIES as of December 4th, following Christian BÉCHON and Denis SOUBEYRAN’s departures. A graduate of ESSEC and INSEAD business schools with a PhD in Pharmacy, Denis DELVAL has a deep understanding of the pharmaceutical industry. He has held important marketing, sales and strategic positions in France, Europe and worldwide and has managed international partnerships within various pharmaceutical groups (Bayer, Fournier Pharma, ALK). In 2006, he was appointed General Manager of ALK France. In 2012, he also became Senior Vice President of the Danish pharmaceutical company specialized in allergy immunotherapy treatments. Denis DELVAL lectures at ESSEC business school and has also been Chairman of Lecrip.org, a healthcare think tank. * The Official Journal of the French Republic. LFB is a biopharmaceutical group that develops, manufactures, and markets medicinal products derived from living matter for the treatment of serious and often rare diseases in several major therapeutic fields, including Hemostasis, Immunology and Intensive Care. LFB is the leading manufacturer of plasma-derived medicinal products in France and 7th worldwide, and is also among the leading European companies for the development of new-generation medicinal products or treatments based on biotechnologies. Through its constant research efforts, the LFB group implements a growth strategy to expand its activities on international markets. Today, LFB currently markets its products in almost 60 countries around the world with a global turnover of €518.9 million in 2016. LFB group employs more than 2300 people worldwide. On December 20th, a decree from the President of France was published in Le Journal Officiel* appointing Denis DELVAL CEO of LFB S.A.